To mark our 7th birthday, we celebrated grassroots creativity, collaboration & community. 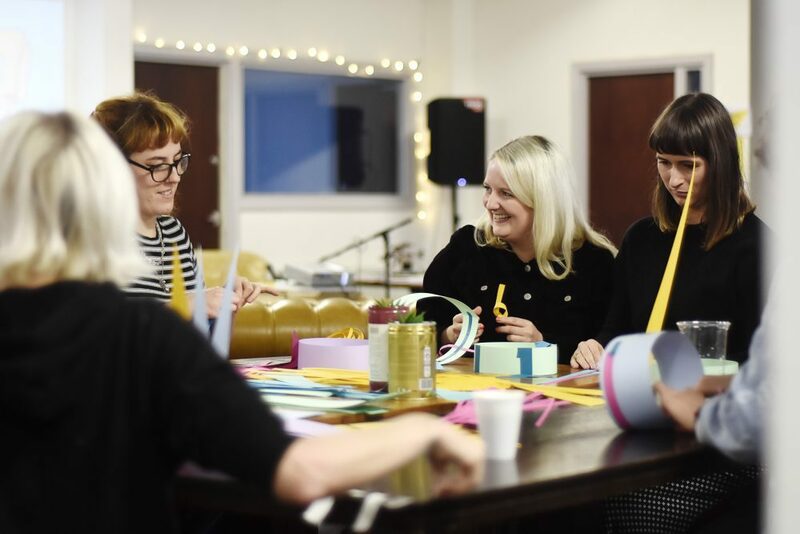 We exhibited work from the collective & hosted workshops that shared our skills & experience. We also brought together artists, illustrators & curators to showcase what they do, & have conversations about how people can take their own work out into the world. 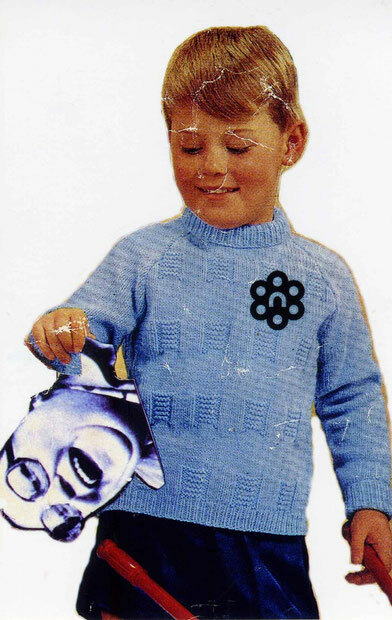 KIDMILK, Emily Briselden-Waters, Liam Healy, Stan Platford, Harry McKenzie, Jack McConnell and Joey Frances. 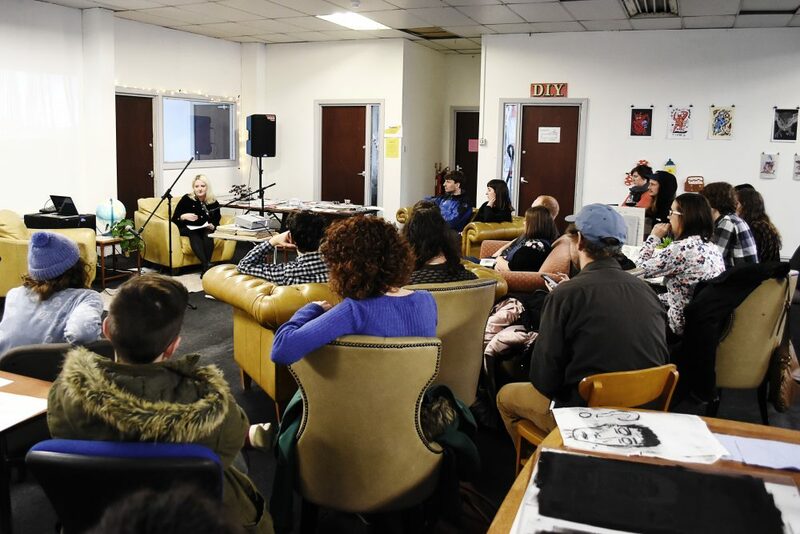 The event took place at Partisan, a space for independent, community led, DIY & cultural based projects in Manchester. As a co-operative, Partisan is democratically owned and managed by the people who work in and use the space. 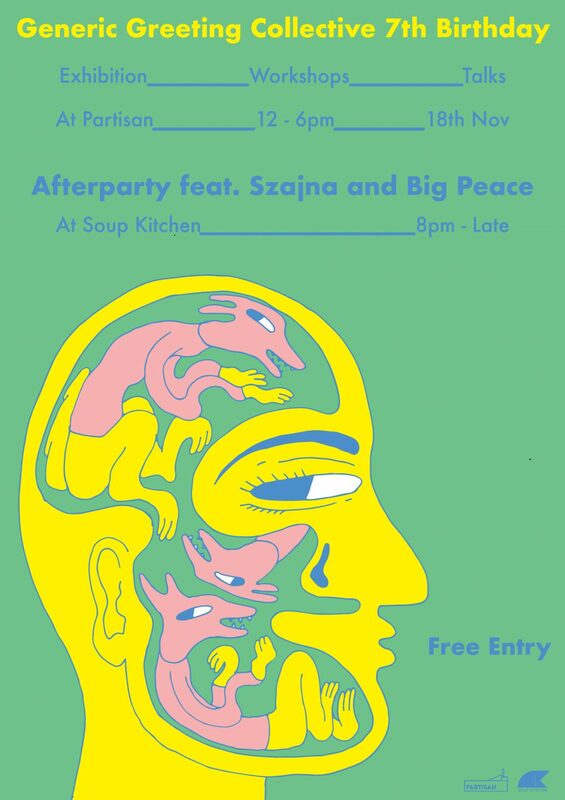 Upstairs at Soup Kitchen from 8pm featuring Generic Greeting DJs: Szajna (Alga-Rhythms/Reform Radio) & Big Peace (No White Tees/NTS). Participants will experiment with form and movement, using simple pre-cut paper shapes to construct sculptural headdresses. The workshop will focus on creative problem solving, combining materials to form patterns, and fitting shapes together, all without the need for scissors and glue! This workshop is especially suitable for families, and people of all ages. 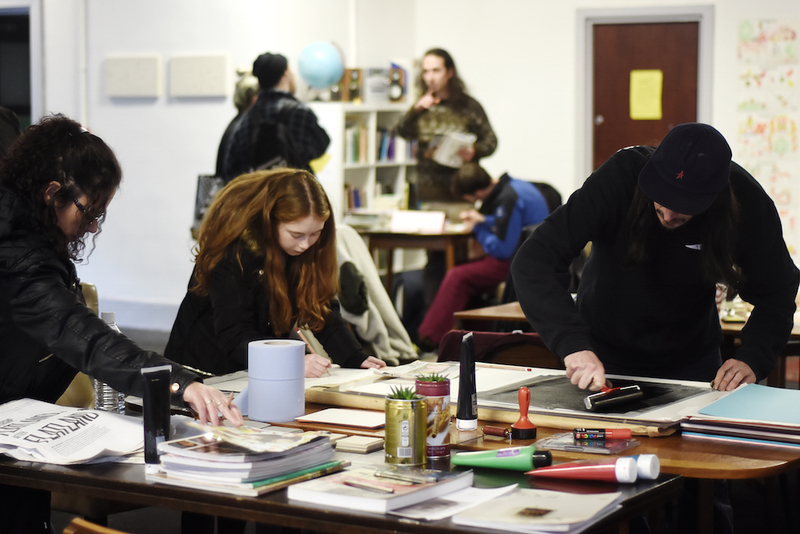 An introduction to the processes of lino print and mono printing. 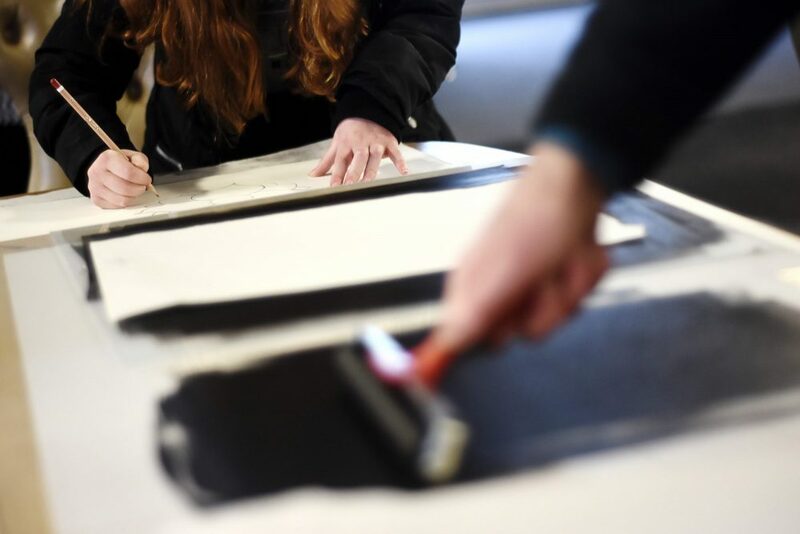 Participants will be guided through the processes using rollers, ink, lino cutters and other materials, and shown techniques of mark making and texture making. Led by Will Berry and Jack McConnell. Drop-in poetry workshops available across the day, for individuals or small groups, shaped around their own interests and needs. On offer will be an introduction to a variety of different poetries and methods, with samples of writing to show participants, focussing on experimental and alternative styles of poetry. 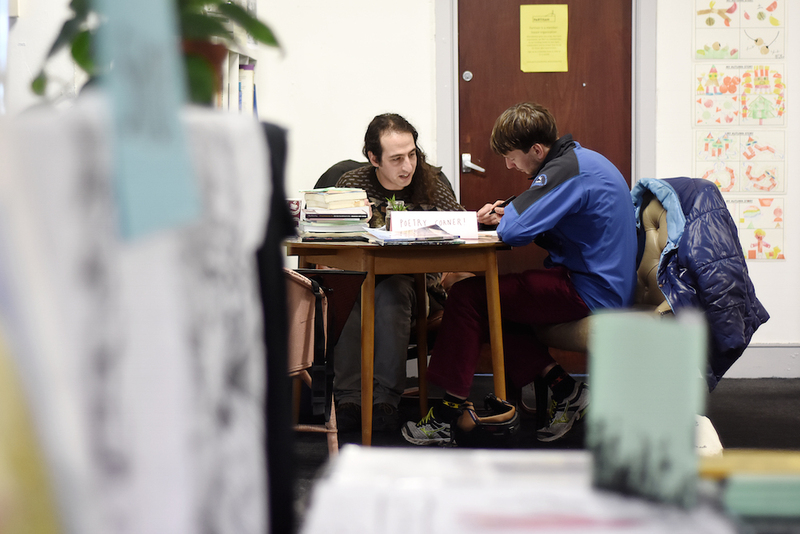 Participants can bring their own poetry to work on together, or alternatively practice cut-up techniques to make their own poems on the day. Suitable for both aspiring and already practicing poets. A family friendly drop in workshop. 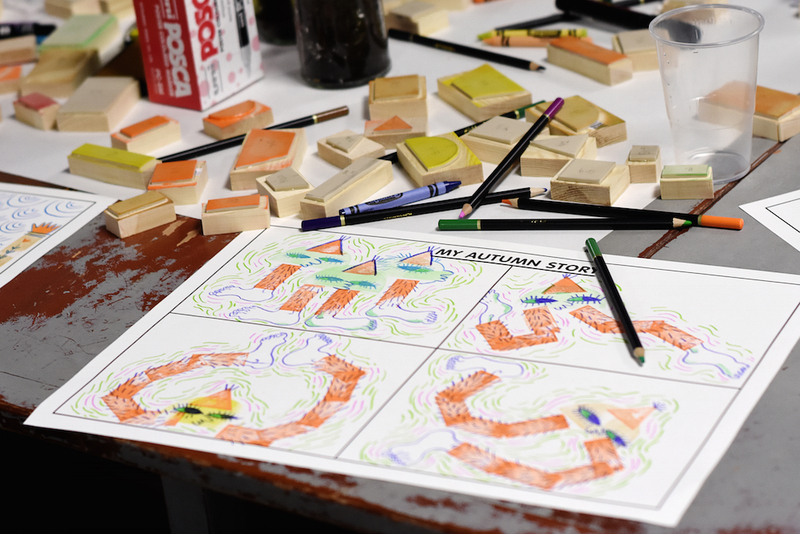 Using block stamps, paints and coloured pencils, participants will be encouraged to create four panel autumn stories. There will also be some custom made black and white colouring sheets. These will aim to celebrate that November is the last month of Autumn and traditionally the month to bring in the harvest and prepare the homes and food for the Winter. Tash has over 20 years of experience shaping future changemakers in the creative industry. 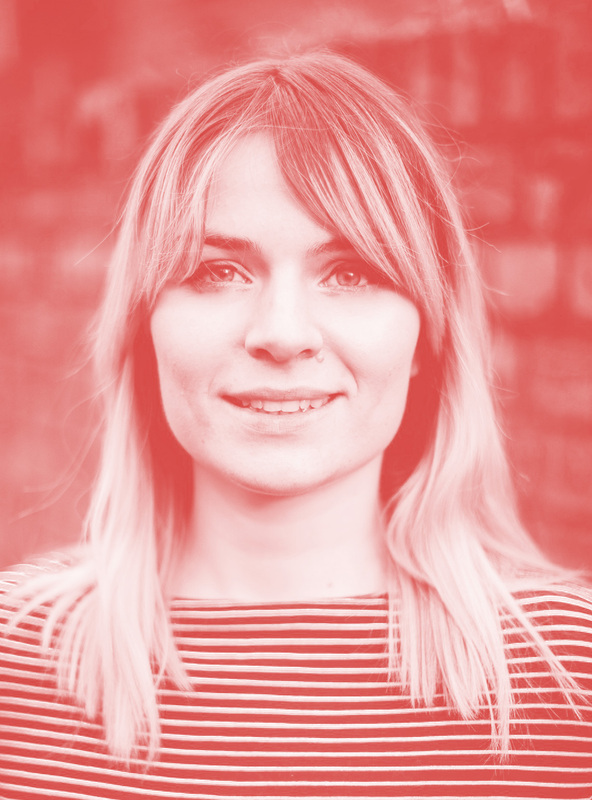 She teaches postgraduate Digital Management and Digital Experience Design students at Hyper Island, having previously taught the Salford university. She has given talks sharing her expertise nationally and internationally. 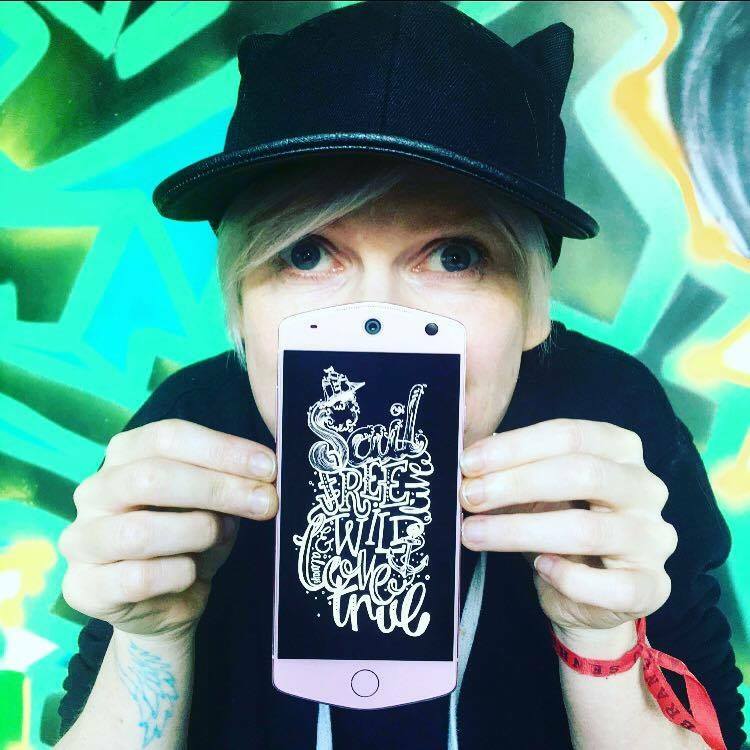 Tash has worked on a wide range of projects, including album design for Elbow, skateboard design collaborations with Linder Sterling, and MapMyMCR, a growing map of illustrated buildings and their narratives. Her popular daily typographic project, 'Mundaneaday' is now it its fifth year. She is also a member of Generic Greeting. Michael Holland is a multidisciplinary artist, whose practice is focussed on recycling the detritus of society, developing smaller, less intrusive ways of working, aiming for an art that doesn’t create waste. His work includes making books from the left-overs of other artists, and selling postcard sized collages for the price of a loaf of bread. He also runs Ono, a micro music label, releasing small runs of CDs and vinyl records by local artists. Michael will be in conversation with Generic Greeting’s own Raquel Lowsley. Jane Bowyer is a freelance graphic designer and illustrator based in Manchester, specialising in illustration, web design, branding and print. In her own time, she has run workshops with young women on the representation of women in online and offline media. Jane also curates Women in Print, an exhibition of work by twenty two local designers, makers, and illustrators that celebrates the life and achievements of twenty two iconic female figures who've made a significant contribution to Manchester, and aims to engage people in conversation about the way women are portrayed in the press and online media. 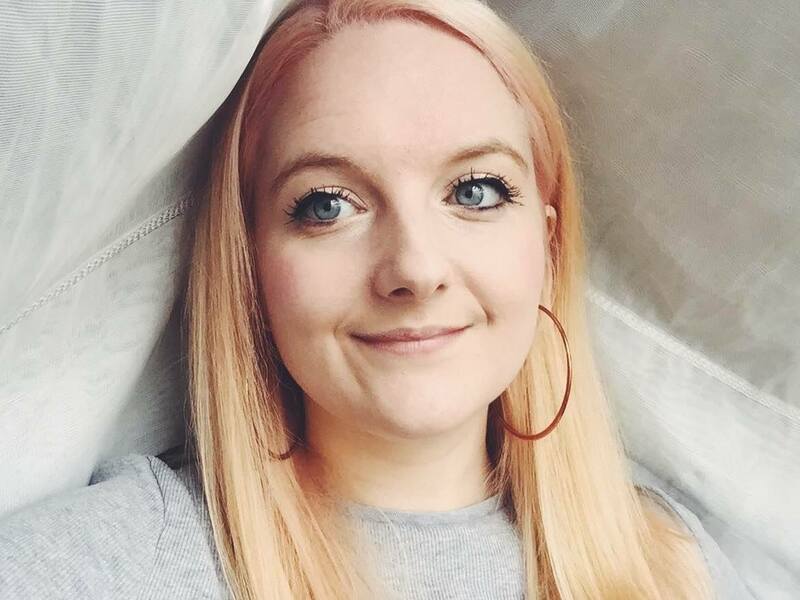 Ava is a London based vegan food and travel writer who's written for The Guardian, Munchies, Oh Comely and The Debrief. She's run her popular blog Guac and Roll for over five years a well as working as features editor for Urban Junkies and an editor for Village Underground. She also runs marketing and communications for vegan street food business Club Mexicana as well as working freelance. Ava likes sparky ideas, late nights and deadlines, and above all, making it happen. ← Welcome to the brand new Generic Greeting website!